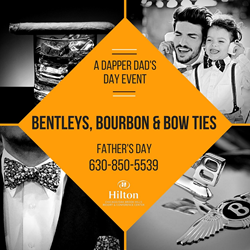 Tickets are now on sale for Bentleys, Bourbon & Bow Ties, a Father’s Day event tailored for “dapper dads” and their families at the Hilton Chicago/Oak Brook Hills Resort just 30 minutes west of downtown. In conjunction with Perillo Auto Group, Southern Wine & Spirits and Trunk Club, the special holiday celebration will play out in and outside the Resort’s Pavilion tent overlooking the pristine fairways of Willow Crest Golf Club on Sunday, June 19 from 11:00 am to 3:00 pm. Bentleys, Bourbon & Bow Ties presents an exclusive opportunity to experience an ultra-luxury car show in a relaxed and serene country club setting with chef-driven brunch and exciting activities designed exclusively for fathers, including Bentley test drives, bourbon and cigar-rolling education, live Dixieland music, and men’s personal styling consultations / demonstrations. The special event also provides an opportunity for family fun, with hands-on arts and crafts and even display Lamborghinis to sit and pose in. *High resolution event photos are available by contacting Jody(at)GrimaldiPR(dot)com. Ultra-luxury car show: Families can leisurely stroll through and sit inside a vast collection of Joe Perillo’s best vehicles, including names like Lamborghini, Bentley, Rolls Royce, and Maserati. Bentley test drives: 12-minute Bentley test drives around the neighborhood (drivers must be 21 years old, weather permitting, valid Illinois driver’s license and insurance card must be given at registration the day-off). Reservations for test drives must be made ahead of time by contacting Raina Spasov at the hotel at 630-850-5539. Space is limited. Brunch: Executive chef Sean Patrick Curry will offer a luxurious Father’s Day Brunch in and around the tented Pavilion featuring his globally artistic modern farm cuisine, with items like beef brisket, gourmet burgers and roasted pig featuring whole suckling piglets from a local farm cooked on a spit, with a wide variety of hand-crafted fixings and sides. 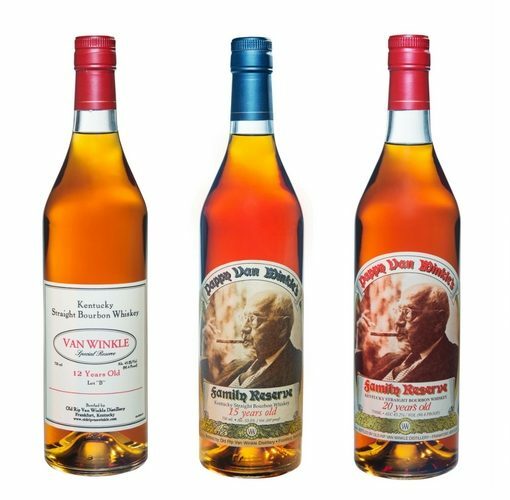 Bourbon and cigar-rolling education: Chicago’s leading bourbon expert from Southern Wine & Spirits will be on hand to educate dads on the nuances of different bourbon whiskeys. Seminars will take place outside on the patio throughout the day, with tastings included. Bourbon specialty cocktails will also be available for purchase at a cash bar. As an accompaniment to the bourbon, a cigar roller will also set up shop, offering tips on how to make the perfect hand-rolled cigar. Bow tie demonstrations / men’s personal styling consultations: Sponsored by Trunk Club, one of the country’s hottest personal styling companies, fathers who need pointers on how-to-tie a bow tie or how to update their wardrobe, will get it from Trunk Club’s on-site personal stylists. Bow Tie-Making for kids: arts and crafts activities like bow tie-and-mustache-on-a-stick making and bow tie-shaped cookie decorating will be offered for children. Live Dixieland music: Throwback Dixie tunes will help set the dapper dad scene outside on the patio throughout the afternoon. Golf at Willow Crest Golf Club: Tee times at Willow Crest are open to the general public, giving dad and his family members or friends the option of 18-holes for Father’s Day on one of the western suburb’s most challenging Championship courses before or after attending Bentleys Bourbon and Bow Ties. Golfers must call 630.242.5700 in advance to book a tee time. An additional green fee is required. The Bentleys, Bourbon and Bow Ties ticket price is $85 per person, with children 12 and under FREE. Advance ticket reservations are available by calling 630-850-5539. The price is inclusive of everything listed herein (except golf). Reservations for Bentley test drives must be made ahead of time also by contacting Raina Spasov at the resort at 630-850-5539. Previous post What Does it Take to Become an Executive Bourbon Steward? Next post Executive Bourbon Steward Training – Part 2!